Following the tragic fatal bite of surfer Chris Boyd, the government of Western Australia has again proposed a misinformed policy that would harm populations of threatened animals without making surfers or swimmers safer. By targeting any large shark that swims within a specific area, including endangered species and species not considered a safety risk to humans, this policy is essentially a cull. The family of one of the victims of a fatal shark bite opposes the cull, as do scientific experts, local surfers and thousands of concerned environmentalists around the world. There is no denying that each and every shark fatality is a tragedy and our sympathy is, of course, with the family and friends of the victims. However, based on statistical data, the number of shark related fatalities is negligible when you consider the vast and increasing number of swimmers entering our coastal waters every year. So often the argument in favour of a cull comes down to the emotional question of who is more important: a human or a shark. Rather, we need to ask the question, will culling sharks actually reduce the risk of an attack? The answer is likely to be no. In fact, when shark culling was carried out in Hawaii, between 1959 and 1976, over 4,500 sharks were killed and yet there was no significant decrease in the number of shark bites recorded. We need to invest in more research to better understand the movement patterns of sharks and learn more about the cues that entice sharks to bite people in the first place so that we can avoid these situations in the future. Dr. Kempster also drafted an open letter to the government of Western Australia. This letter, which has been co-signed by more than 100 shark scientists from all over the world (including me), is reproduced below. It highlights why a shark cull is ineffective at reducing shark bites and why culls harm threatened species, in addition to proposing alternative suggestions. Additionally, shark biologist Dr. Barbara Wueringer started an online petition, which currently has over 34,000 signatures. I urge the government of Western Australia to enact the alternative policies proposed by Dr. Kempster and other experts. Culls do nothing to help make people safer, and they can do great harm to populations of threatened (and legally protected) species. The scientific community acknowledges that the Western Australian (WA) shark situation is a highly emotive issue, in which there has been a great deal of personal suffering. We also recognise that the effects of shark bite fatalities extend beyond the individuals and their families, and impact on the wider community. However, as scientists and professionals who work with sharks on a regular basis, we are sending this letter because we are deeply opposed to elements of the new shark mitigation policy announced by the WA State Government. While we acknowledge the need to restore public confidence and provide safe swimming areas for the community, we do not support the proposed use of lethal shark population control measures such as drum lines or targeted fishing of sharks. Moreover, in response to a fatal shark bite, the identification of even the species of shark responsible is notoriously difficult and it is unlikely that a targeted fishing effort following the event will catch the individual shark responsible. recently trialled in Recife, Brazil, involves capturing, transporting and releasing large sharks offshore, whilst providing an opportunity to tag and monitor the individuals caught. This approach has been extremely effective in reducing the incidence of shark bites in protected areas but without the indiscriminate killing of sharks and other marine life. Importantly, such programs should be coordinated by Government fisheries departments rather than contractors, ensuring a higher level of transparency and accountability as well as a greater opportunity for gathering scientific data on shark abundance and species composition. We encourage you to adopt fisheries-managed, non-lethal shark control measures (personal and area-based), that will not only reduce the risk of a negative shark encounter, but will also bolster research opportunities for the tagging and monitoring of sharks in WA. Equally as important, we encourage you to further improve education and communication of knowledge (existing and that obtained through further essential research) to the community about ways to avoid negative encounters with sharks. In this regard, we applaud the Government on the elements of the policy that seek to enhance public education and awareness of sharks and the small risk they pose to human safety. We take a calculated risk whenever we enter the ocean, but the risk is quite small when compared to other daily activities. Rip currents, for example, are the cause of an average of 21 confirmed human fatalities per year in Australia, compared to 1 for sharks. There will always be a low residual risk associated with entering the ocean; however, with better education and increased investment in monitoring and research, we can make an objective judgement as to whether or not we accept these risks. We thank you for taking the time to consider our thoughts on this policy. It will create a false sense of security and maybe the next victom will die because of that sense. I also disagree with th senseless killing of sharks I think this is a much better idea I there are many ways to protect life with out ending another life. I am a scuba diver I know the risks it’s a risk I’m willing to take in high risk dives I will even wear a shark shield something that does not harm any marine life or my self. There may be a way to avoid this. I am familiar with the surf industry wanting a cull and not wanting beaches closed and a WA government being anti conservation in a big way. Trackers on sharks with receivers in ‘rings of buoys’ around surf beaches could do the trick.. Life saving clubs can monitor with buoys containing pingers to detect tagged sharks and underwater cameras to pick up untagged ones for tagging. Charter boats with underwater cameras that take paid customers out and with a beach ranger keep careful track of shark so beach is only closed if it heads in. This would cost no more than drum hooking and be more effective.Could also replace shark nets and set hooks in Queensland that kill more than 200 whites and more other sharks annually. Perhaps shark scientists could inform the government that if large resident sharks with big territories are killed then smaller white sharks will be more numerous and likely increase risk of attack – c.c it to the Insurance Council of Australia. If surfers surf at dawn and dusk and wear black wetsuits they are a hook short of being bait – looking like a turtle from below. If there are tagged whites around then they can stop surfing at those times and almost end fatalities which mostly happen at dawn and dusk.. The more whites are tagged and tracked in WA and elsewhere the more we can learn. And it is always a good idea for scientists to meet with people in communities, tell them the natural history of white sharks, get them engaged and listen to their feed back. Few if any of the victims families here have asked for sharks to be culled, but they need a program they can support that uses science to address the issue combined with local knowledge, giving locals a sense of ownership of the science. Great article, very disturbing issue. Can you please recommend some steps we could take to stop the cull? Is there a petition, someone to call etc. thanks! The petition linked in the post is a good start. Support Our Sharks (website linked in the post) has other good references, they’re directly involved on the ground. I am all for conservation in most cases. However, conservation at the expense of human life is insanity. When the world of sharks overlaps with the world of humans in a way that causes humans to die, the tragedy should be for the sharks. Not for the humans. A) The relative unlikeliness of a shark attack is not an argument to do nothing about it. Nor is that reaction consistent with how society treats other dangers. However rare, the fact remains that every shark attack involves a victim that is 100% a human being, 100% a part of society and 100% somebodies loved one. It is also rare to be killed by terrorists. However, that hasn’t stopped us from going to great lengths to stop terrorism. We spend incredible amounts of resources trying to prevent or treat rare forms of cancer. Sacrificing “a few” people for the sake of sharks is of a similar moral calculation as tribes sacrificing people into volcanos to prevent storms. To put it into further perspective, ask yourself: how many sharks you would kill in order to save the life of your child? B) The claim that the shark cull in Hawaii did not work is demonstrably false. The report that this claim comes from is available for public review. First, the data in the report itself contradicts the conclusion. In fact, shark attacks DID go down after the cull was started as common sense would suggest. Second, attacks went up significantly after the cull was stopped. The author of the report suggests that the increase of attacks was due to population growth. However, amazingly, the author does not make that same suggestion for why attacks went up (relative to the reduced rate) during the years of the cull. It is ignorant at best and intellectually dishonest at worst that anyone, especially a scientist of any kind, is passing the Hawaii case off as showing that culls don’t work. With respect Wheaton Western Australia is very different to Hawaii – as is the behavior of the victims – mostly morning and evening surfers and swimmers. From early tagging data white sharks range across vast areas, living different ways depending on their age and location. Culling sharks will make little difference as the populations moves past except where reside t sharks are removed. 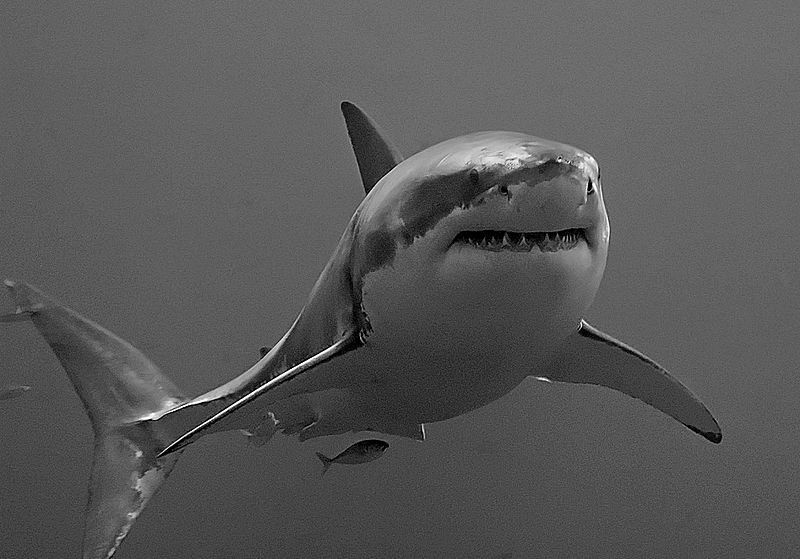 Better to combine science and local knowledge and latest electronic and camera technology to guard against sharks. The proposed cull wit cost $1 million plus – spotter planes were effective and now with cheap mini drone technology they could be cost effective. Tagging with pingers tat can be read from buoys and research to discover what sound, colour, shape, vibration, electrical ‘fences’ can be used. The problem is international and applies to many species beyond Whites – but there are likely common solutions. Conservation is only listened to by governments when it can be used to privatise and corporatise commercial fishing fleets and rec fishing. Drone planes as spotters combined with at sea tagging and surveillance may well do the trick – especially if backed up with research proposals and sponsorship – but scientist have to collectively resource people to do it. Petitions will not do the trick alone. What ever the plan it must put peoples lives first which culling sharks may – or may not in WA – certainly it is untested and it seems too hard to ‘test it’ on the public. first of all i would like to thank David to put up this article and also the link to my petition. i do agree with the posts that when a person dies it is a tragic event, and that we should try to avoid the loss of lives. the point that Ryan and I are arguing though, is that these deaths have to be put into perspective. the WA government has recently released the numbers to what they are proposing: 72 drum lines will be set permanently off Perth’s beaches, they will be re-baited twice a day and any shark over 3m that is caught will be shot and dumped out at sea. now, given that white sharks reach sexual maturity at lengths of over 3.6m for males and over 4.8m for females, that means that this strategy is targeting adults and juveniles and it is likely to have huge impacts on the population. so this is the concern for the endangered species. this is the reaction to around 7 fatal shark bites in the last 2 years. i believe that we have an inbuilt fear of being eaten, which causes this massive reaction. it makes sense evolutionarily, and this might be the reason why shark attacks receive such an out of proportion media coverage. think about it, so many people are scared to go into the oceans because of sharks, nobody wants to end up as prey. but nobody thinks twice about getting into a car although most of us have lost loved ones in car accidents. i personally lost a few friends in car accidents but i know only one person who got bitten by a shark (and survived it). and even the mother of Kyle Burden, who got killed by a shark in WA spoke out in the media and opposed the cull (see link here http://www.news.com.au/national/western-australia/shark-victims-mum-sharon-burden-opposed-to-baittokill-policy/story-fnii5thn-1226781596050). my petition has been presented to the Australian Senate at their last meeting before the summer break and it will be presented again when they meet again in February. what needs to be done is public education. Barbara, in addition to a petition, why not put effort into designing a non lethal way of keeping people and sharks apart? ONLY shark scientists and others who work with whites can do it. If no effort is made that cull may be adopted by other states and even other countries. Even the petition to the senate could see a conservative anti conservation federal government lift protection for white sharks and restart tournament fishing – as game fishermen are pushing for. The conservatives will have the numbers in the senate by next July.